We’re only 23 days away from the election, y’all. Eight years ago, we posted our second edition of Hall Worthy, a list of significant country music figures who we felt were most deserving of being in the Country Music Hall of Fame. Since then, a lot has changed. First and foremost, more than half of the list is now in the Hall of Fame (or, at least, headed there later this year.) An additional entry, Wanda Jackson, is now in the Rock and Roll Hall of Fame. A bigger change came in 2009, when new categories were introduced to ensure that two artist inductees would be represented from different eras: The Modern Era (20-44 years of national prominence), and the Veterans Era (45+ years of national prominence.) There are also three more categories that rotate, meaning one from each category gets in every third year: Non-Performer, Songwriter, and Recording and/or Touring Musician. 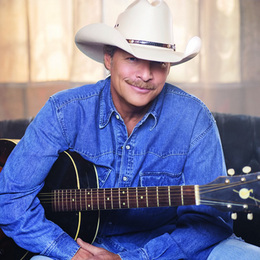 Scoring his first hit in 1990 with “Here in the Real World”, Alan Jackson is the most successful country artist that isn’t currently in the Hall of Fame. His storied career has included 25 #1 hits and 49 visits to the top ten. He’s won a slew of awards over the years, including many for his songwriting. He is the most traditionalist of all of the nineties superstars, but has managed to stay relevant regardless of how pop the genre went over the past quarter century, selling more than forty million albums in the U.S. alone. He should be the next inductee for the Modern Era. It seems only appropriate that a man whose career was launched by a three act song would himself enjoy a career with three spectacular acts. 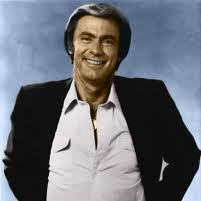 Jim Ed Brown, born in 1934, was raised in Arkansas. Like many aspiring country artists of his day, he first sang professionally with his family. Alongside sisters Maxine and Bonnie, they began performing in the early fifties in various combinations. Google “Gary Harrison songwriter” and you won’t find a website or MySpace. There’s not even a Wikipedia article. Don’t know where he’s from, how he got into songwriting or what he likes to eat for dinner. As far as I know, he has never made an album. When he co-writes a song, does he write the music or the lyrics or a little of both? Don’t know. He’s a Grammy nominated songwriter as co-writer of “Strawberry Wine”, the 1997 CMA Song of the Year, and has penned many BMI Award-Winning Songs. It appears that his first big hit was “Lying in Love with You”, written with Dean Dillon for Jim Ed Brown and Helen Cornelius. The duet went to #2 in 1979. 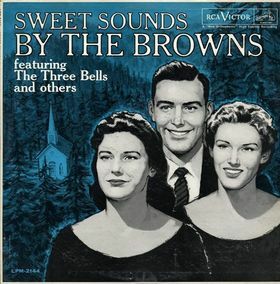 Classic Country Singles: The Browns, "The Three Bells"
One of the most significant historical examples of this structure comes from The Browns, who had a massive crossover hit with their 1959 single “The Three Bells.” It’s a simple tale. The church bells ring three times throughout the course of Jimmy Brown’s life: on the day of his baptism, the day of his wedding, and the day of his funeral. The preacher has words of wisdom for each occasion, ones that would be familiar to any Christian churchgoer, Catholic or otherwise. That the character shares the same name as lead singer Jim Ed Brown and takes place in a little country town might lead you to believe that this was a song of Nashville origin, but it actually began its life and its worldwide success in France as the story of Jean-François Nicot. Originally written in French, “Les Trois Cloches” was an international hit for Édith Piaf, the songstress that was recently immortalized in the film La Vie En Rose. The Browns, composed of siblings Jim Ed, Maxine, and Bonnie, had been performing the song since seeing it Les Campagnons de la Chanson performing an English-language version on the Ed Sullivan Show in 1952.